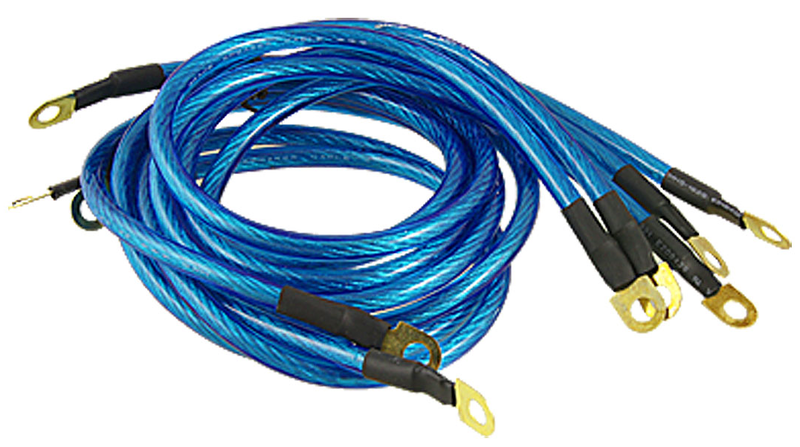 Normally, grounding wire can be 3-point or 5-point, with or without stabilizer. "Point" refer to how many wire that grounding kit have. For example, refer to the picture below. For better performance, 3/5 Point grounding wire should be combined with voltage stabilizer. 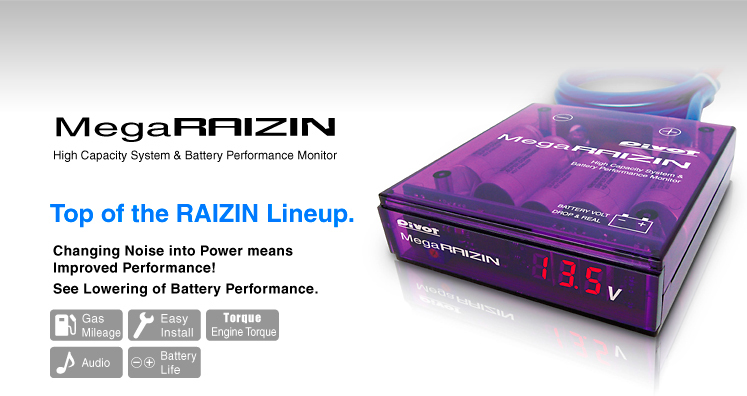 PIVOT Mega Raizin usually will offer you complete set grounding kit (Grounding wire + Volt stabilizer). Voltage stabilizer will help to stabilized the current flow on full load to ensure your electronic devices more long lasting. With volt display, you can monitor battery voltage and charging process of the alternator. Grounding in a car refers to a set of wires that is attached to the negative side of the battery terminal and another side of the wire attached to the car body/chassis,engine, and negative side of electronic devices. The purpose of installing grounding kit in a car because our car use the chassis as the return path for many electronic circuits such as lights, wiper, and most of the engine components. For older car, corrosion would reduce the negative current flow causing the electronic devices and engine component failed to function properly. By installing grounding wire, you can return back the current flow even more better than before. When crank the engine, the sound "tack tack tack" appear, and sometime the engine failed to start. If you have volt gauge, the voltage reading dropped too much when switch on light for example (during engine start). For example from 14.5v to 12.5v. 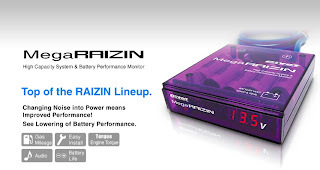 For the voltage stabilizer unit (refer picture Mega Raizin above), it have positive and negative terminal. RED tag wire connect to POSITIVE battery terminal. For BLACK tag wire, connect it to NEGATIVE battery terminal directly. Normal if it sparks when the wire touch the battery terminal and the reading of the volt meter should be displayed. For the 3/5 points grounding wire, all 3/5 wire must be connected to the NEGATIVE batery terminal. Another end of the wires should be attached as recommended below. Engine block/Head near spark plug - Better spark plug, ignition coil and injector performance. Result in better idling. Front sub frame that hold headlamp and radiator - brighter headlamp and increase loudness of the horn as well. 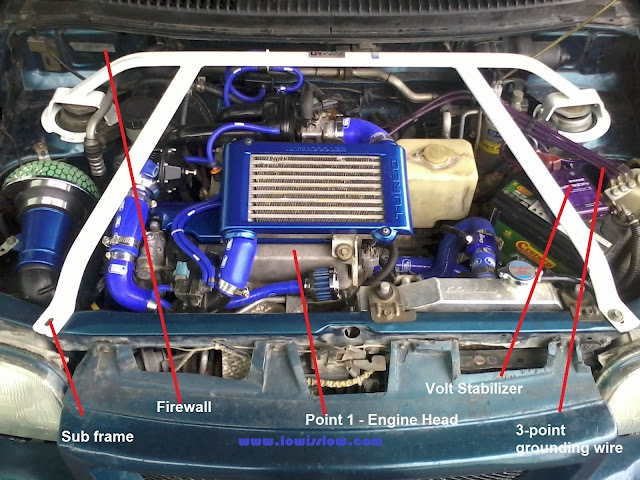 Engine bay firewall (wall below the wiper) - better current flow to under-dashboard electronic devices especially Engine Control Unit (ECU) and air conditioner electronic circuit. Engine block/head near the spark plug - Better spark plug, ignition coil and injector performance. Result in better idling. Engine bay firewall - better current flow to under-dashboard electronic devices especially Engine Control Unit (ECU) and air conditioner electronic circuit. EXTRA (If more than 5); Throttle body, and stock grounding point. I am using Pivot Mega Raizin voltage stabilizer and grounding wire for my Perodua Kancil. Got voltage reading on it.. The automatic voltage stabilizers are known to be the number one choice for enhancing the endurance of the devices. These stabilizers are of high importance for conferring stabilization to the electronic devices.